The hydro-power plant "Djerdap II" on the Danube - the second largest hydro-power plant in Europe (the largest power-plant: "Djerdap I"), seen from the window of the train on the route Niš - Prahovo Pristanište. Das Wasserkraftwerk "Djerdap II" ("Eisernes Tor II") an der Donau - das zweitgrösste Wasserkraftwerk in Europa (das grösste Kraftwerk ist "Djerdap I" - "Eisernes Tor I", flussaufwärts), gesehen aus dem Fenster des Zuges Nis - Prahovo Pristanište. 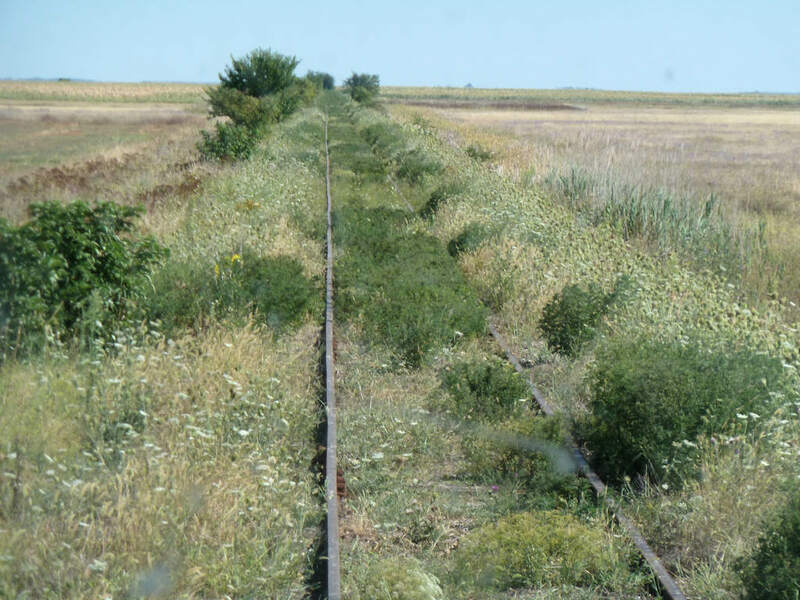 This is railway for freight trains, wich transport coal from Kolubara to TE "Nikola Tesla" Obrenovac. 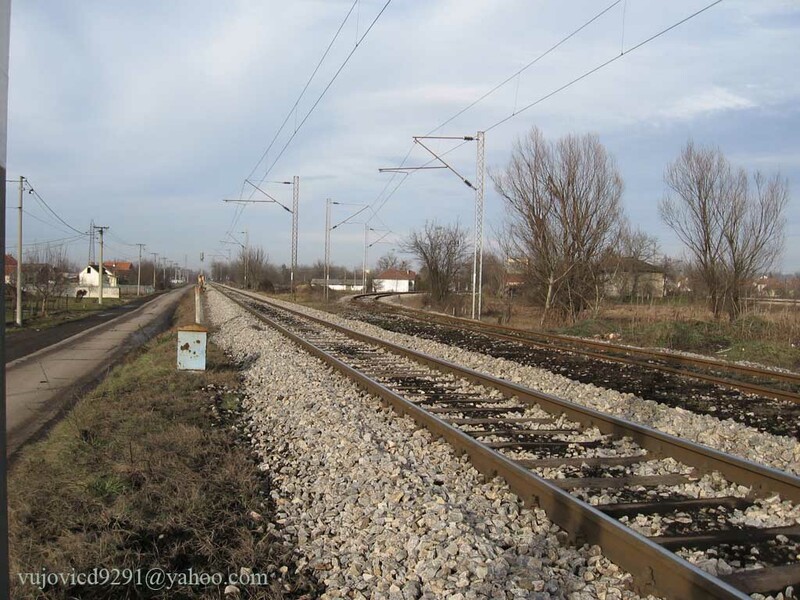 Left track goes to Obrenovac and right goes to Station Vreoci on Beograd-Bar line.There are very dirty tracks because of black coal dust. 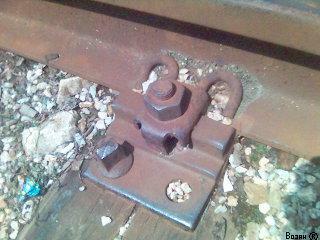 This is railway for freight trains, wich transport coal from Kolubara to TE "Nikola Tesla" Obrenovac. 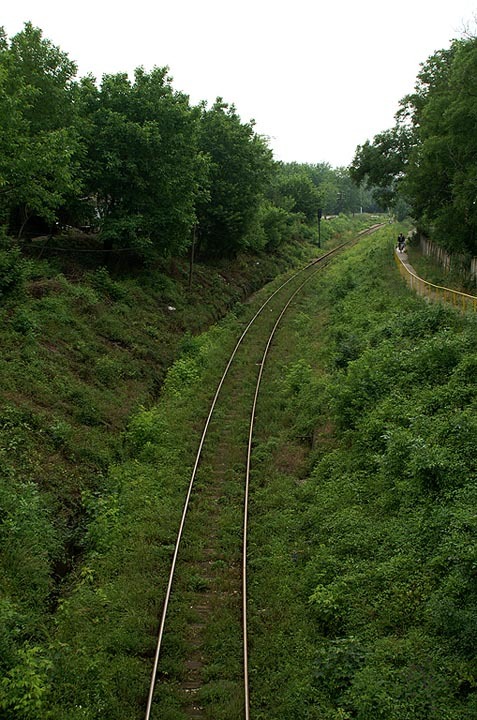 Left track goes to Obrenovac and right goes to Station Vreoci on Beograd-Bar line. There are very dirty tracks because of black coal dust. 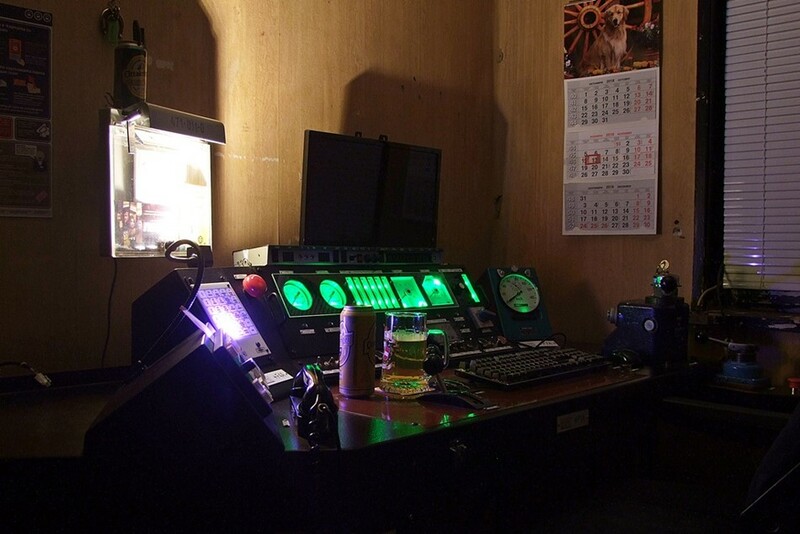 Picture of a JZ 6 axle locomotive simulator, based of the KONCAR Ellok 5600 kW(Serie I) electric locomotive control panel. 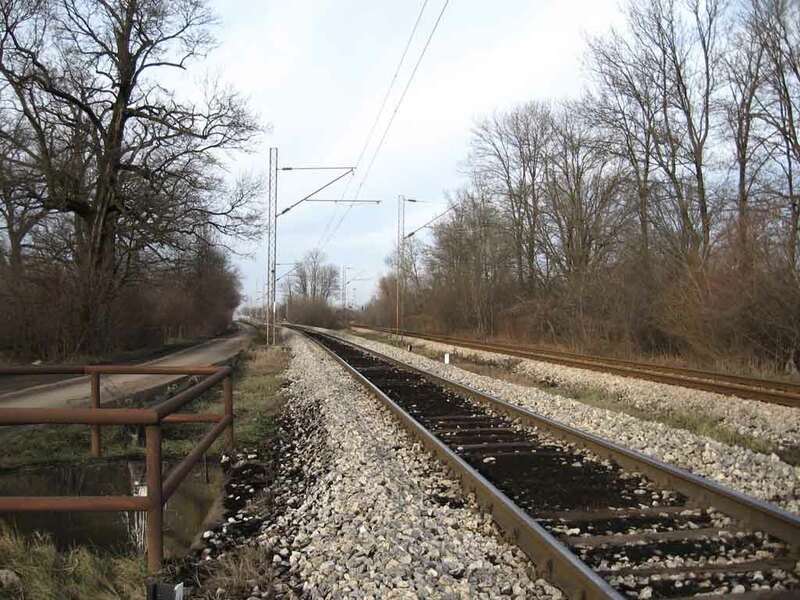 Railway crossing on Belgrade-Nish mainline, near Sopot. 04.March 2007. 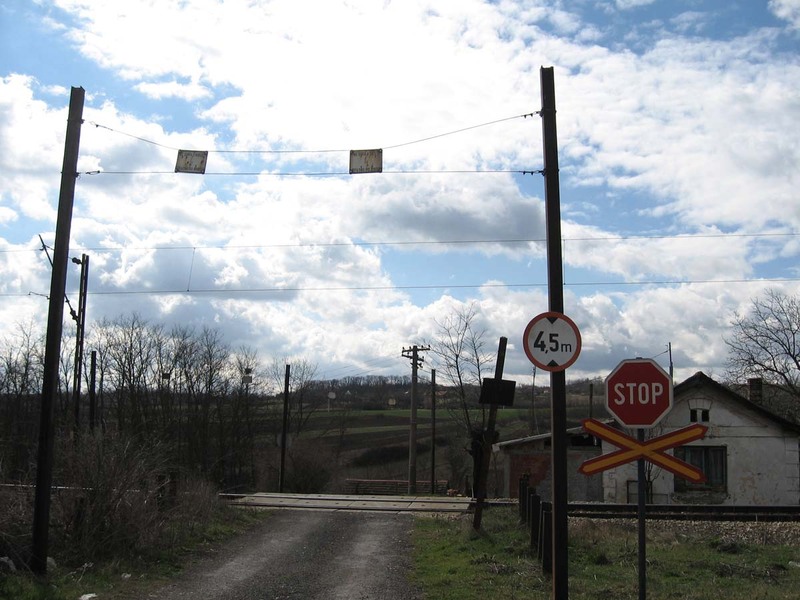 Railway crossing between Valjevo and Lajkovac, on Belgrade-Bar line. France, but it also foud his place at Sebian Railways. 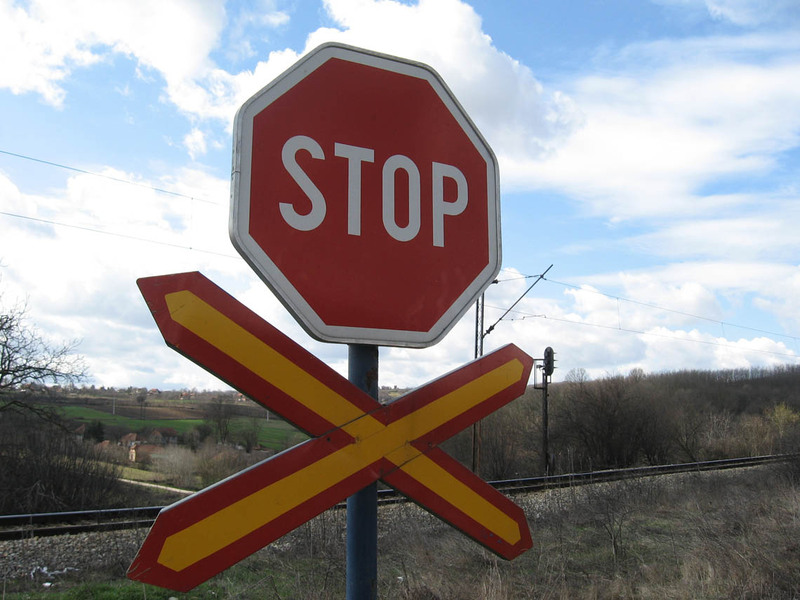 STOP sign on railway crossing, Belgrade-Nish mainline, near Sopot. 04.March 2007. The passenger service over the Horgos-Kanjiza line was reinstated only a few years ago. 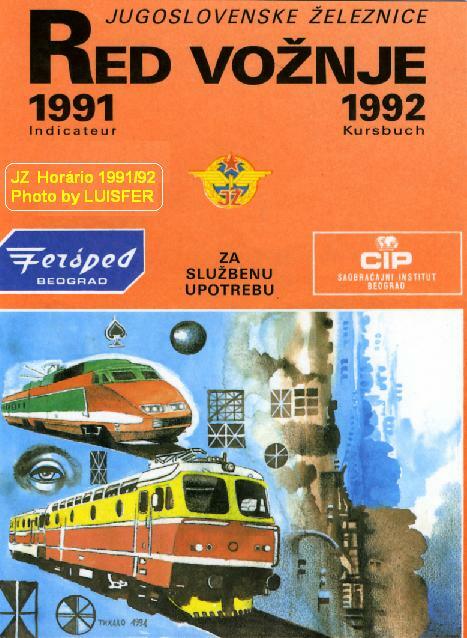 The railway was not upgraded, and only the light railbusses of class 812 can use it at a maximum speed of 30km/h. 4 of the 6 passenger (both to Kanjiza and back) were foreigners travelling "just for fun". 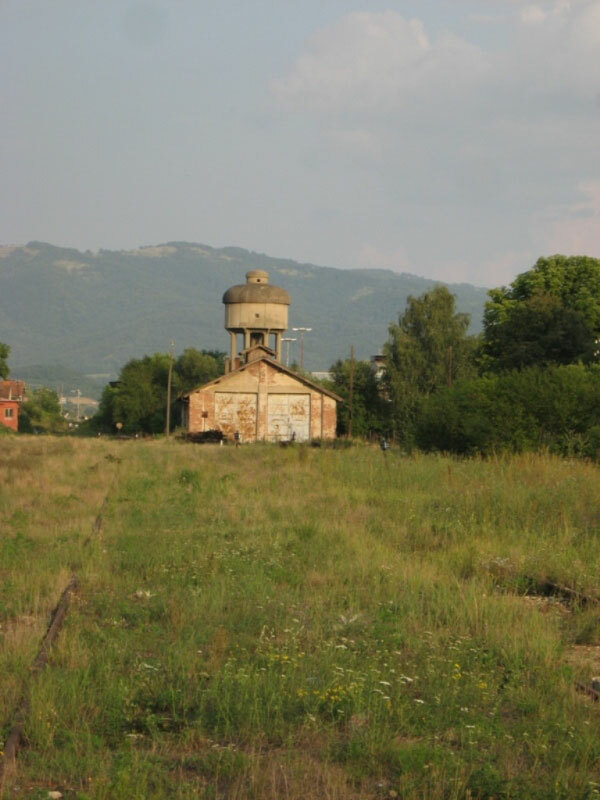 The Hydro-electric power plant "Djerdap II", seen from the railway line Prahovo Pristaniste - Negotin - Zajecar - Nis. 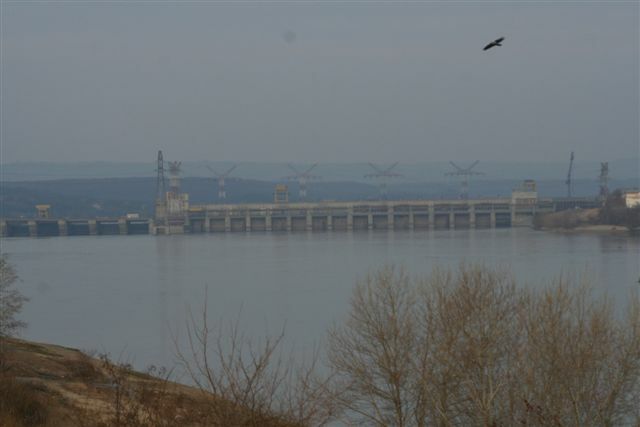 The Power Plant is located near Prahovo, 80 km downstream from the hydro-electric power plant "Djerdap I". 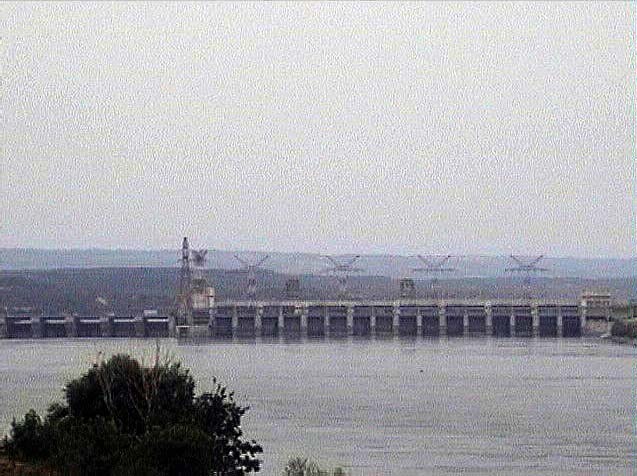 It has a total installed power of 270 MW and is one of the largest hydro-power plants in Europe. 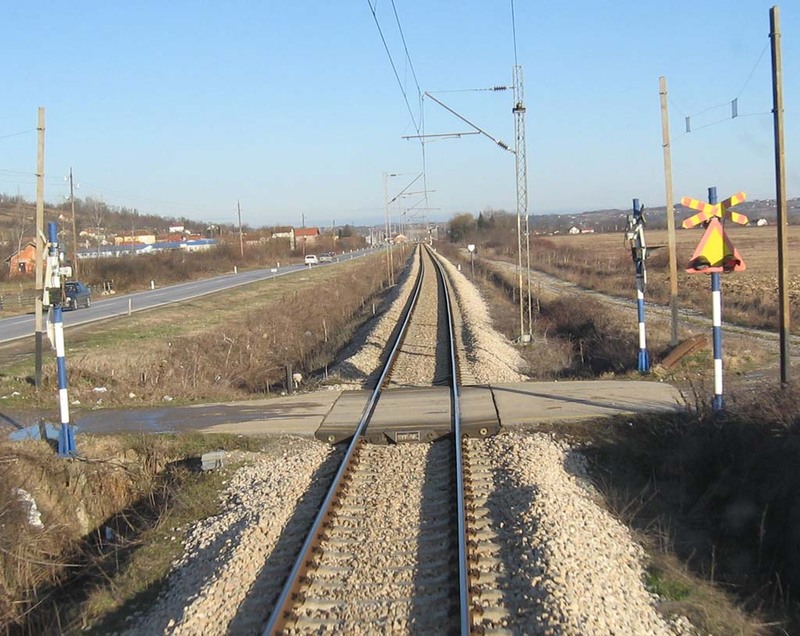 In the next years the rails will cross the Danube here and the current railway line Nis - Zajecar - Negotin - Prahovo Pristaniste, that terminates in the Prahovo Harbour, will be extended to Romania. So it will become an international line; at Nis it will be connected to the "corridor 10". 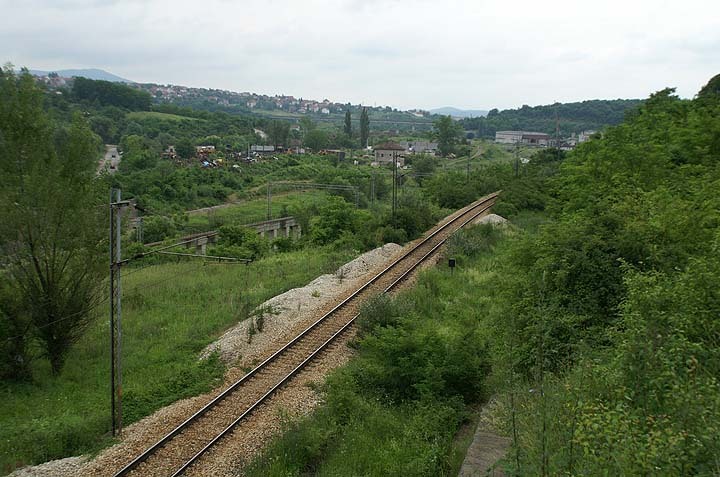 Belgrade-Pozarevac line near Rakovica junction in Belgrade. 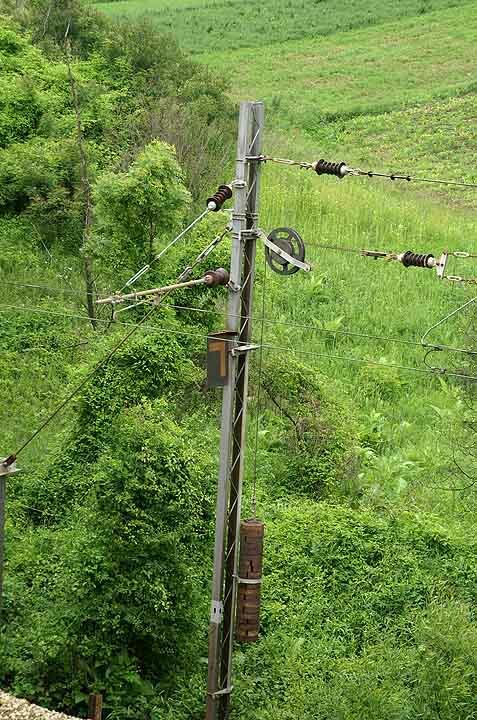 This part of line was build in the beginning of 80`s and is some 5km shorter than previous part of same line.